This is my second piece that I did for the WonderGround Gallery in Downtown Disney - Disneyland. 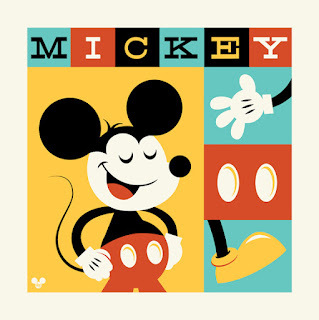 In a nod to the Aristotle quote "The whole is greater than the sum of its parts," I chose to focus on many of the elements that make up Mickey Mouse, including his most iconic 'parts' - big yellow shoes, buttons on his pants, and white gloves. I came across your art on pinterest and have been following you ever since. Your art is my favorite. Thank you! Great work as always, Dave! Love it..